I was waiting for such a design all along. Although the details on this one seem to be a bit unpractical. Especially the flap to dock the phone, seems to be prone to break and unwieldy to handle. I'd like to see an open slot where you simply slot the phone into and secure with some spring loaded mechanisms. That could/should also enable antenna diversity in the larger screen for faster Wifi and may be even LTE/GSM reception. I'm also missing an option to combine the phone and keyboard alone and use a display over air connection to a separate display (TV). That would come in really handy in hotels. The third development I'd like to see is such docking integrated into regular keyboards, which should mean I can dock my phone into the PC and can access seamlessly its data (files, contacts, documents, ability to call, e-mail, etc.) In regular keyboards I could see this being used as the track pad or an extra screen for short cuts or other purposes. With all the cell companies going to limited data plans, unless the cell companies start to let you use your "bucket o' data" on any device you wish (like they should) this is going to be a much better idea for many, plus a pretty logical extension. With this you don't have to pay for multiple data plans, or to use tethering on your smart phone. Plus while many things will sync over the net now not everything does, so with this type of device everything is there and only once device needs to be synced or maintained. #1 The "docking" is crude as hell. Open up a flap and put the phone in. It looks stupid and it's just one more thing to break off. The phone needs to snap into the back and be flush with the back of the unit. #2. The "tablet" is fully functional. 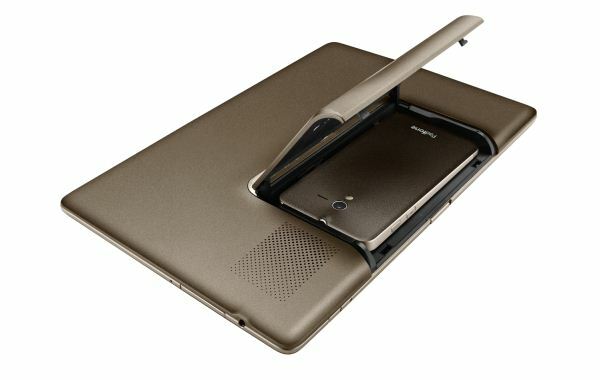 Why the hell would you spend $500 on a tablet and $200 on the phone and then $150 for the dock? The "tablet" should just be a dumb screen that you can purchase for $100 and you simply snap the phone in and it becomes a tablet. #3. Is ICS "Context Aware"? Tablet apps and phone apps are sometimes not the same. Can ICS tell the difference between the device being in "Tablet Mode" and "Phone Mode" and changing the computing environment (and requirements) based on the context that the device is being used in? "The 4.3-inch display features a qHD resolution, although when docked into the Padfone station you get a 10.1-inch 1280 x 800 IPS panel driven by the phone." not sure where you got 'fully functional tablet" from, it reads to me like it's exactly as you suggest - a dumb screen with battery. I can see how docking he phone is moderately more convenient than wifi-ing your phone to provide 3/4G since it'd be automated and the phone gets charged - but it does add weight to the devce in your hands. Presumeably, the keyboard will add another 22Wh battery like it does for the Prime. #3 - Yes, Android has always been context aware. When you put your phone on a dock, or plug a 1280x800 tablet to a HDTV (making it 1280x720), or rotate the device, or change the screen size, or change the locale, or enable the virtual keyboard, it is considered a "configuration change" and the app will be redrawn accordingly. 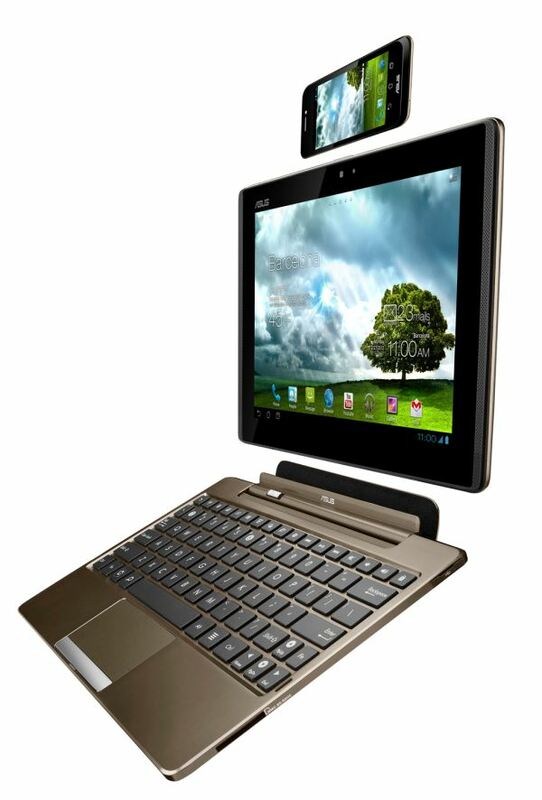 Also, I recall ASUS saying that the tablet would be functional separately. Is this still true, or is it just a battery, screen, and shell vis-a-vis Motorola's Lapdock series?